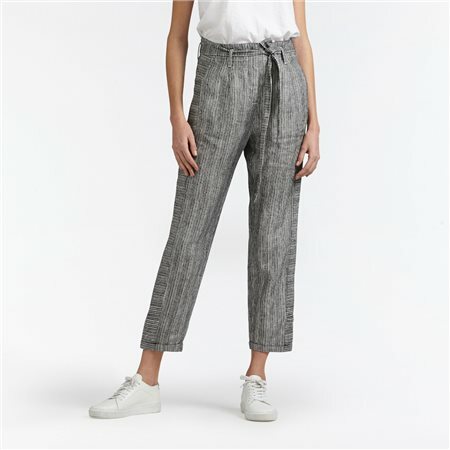 Designed for summer in mind, these casual styled cropped trousers are perfect for hot sunny days. Fine stripe detail with reverse stripe panel along side seams creates a flattering silhouette. Straight leg, with turned-up hems and comes with fabric belt.